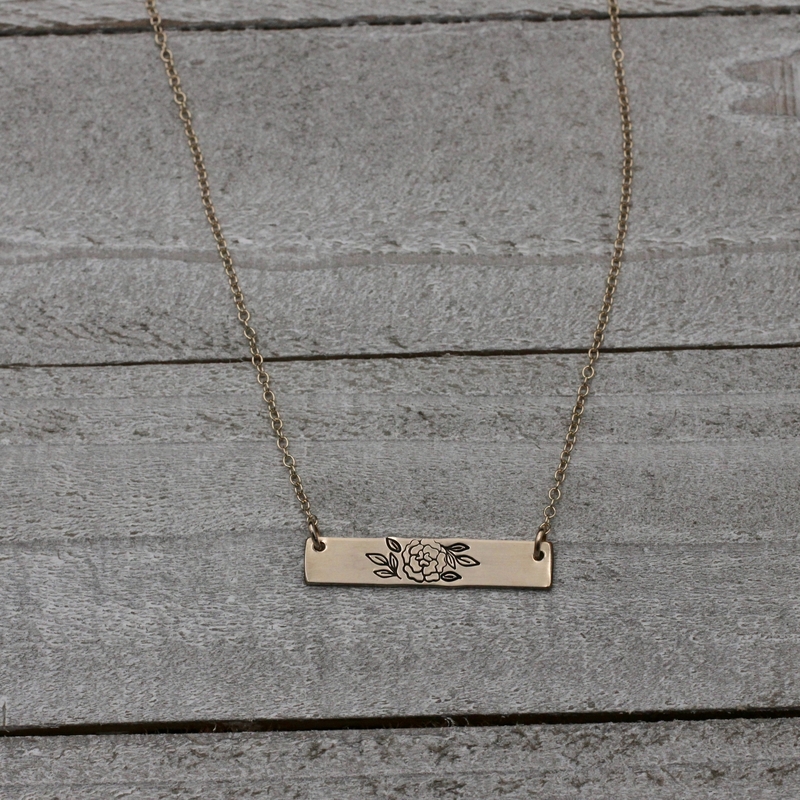 This sweet bar necklace was created by stamping by hand a rose and leaves onto a bar. 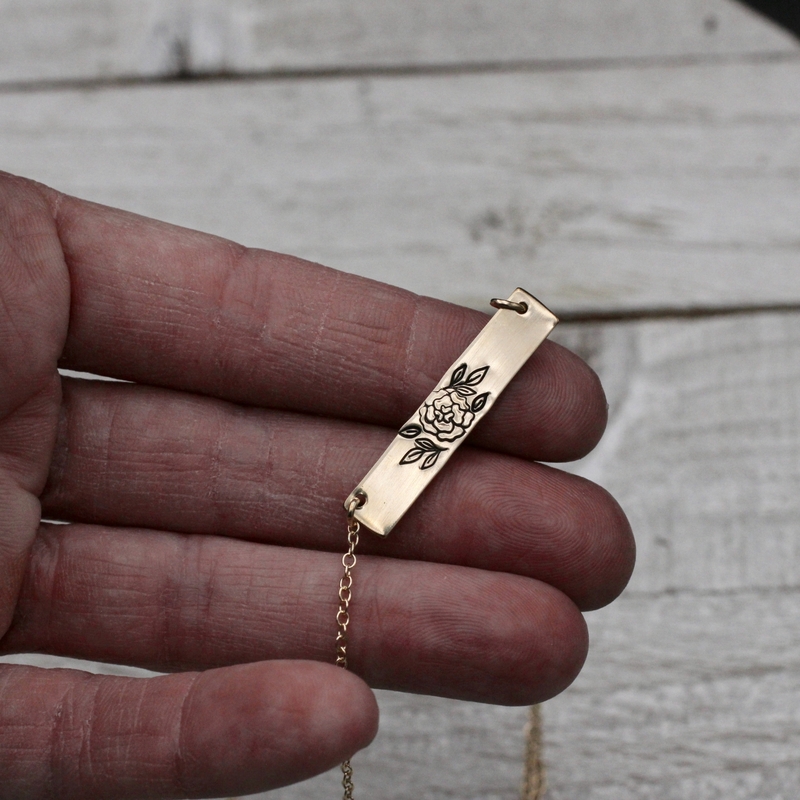 The bar hangs from a delicate chain. 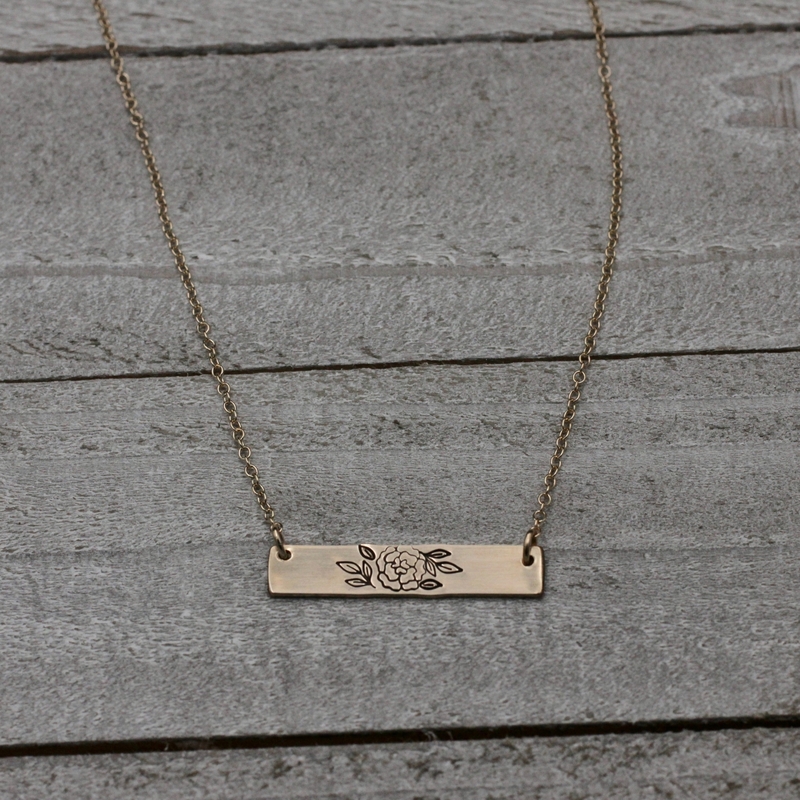 This necklace is available in either sterling silver or 14k gold filled. 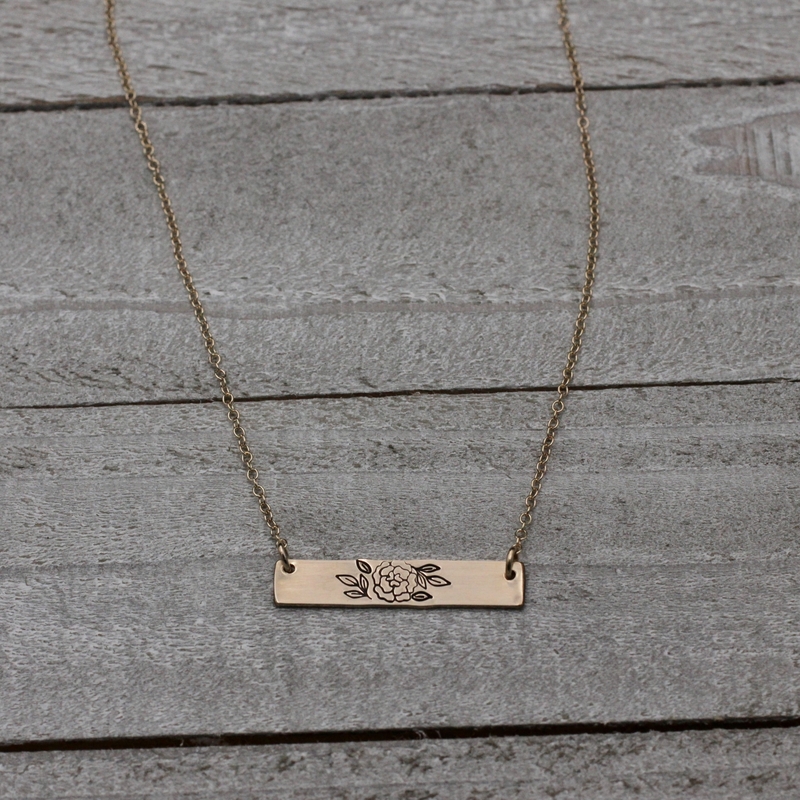 The bar measures 6mm x 1 1/8 inch. 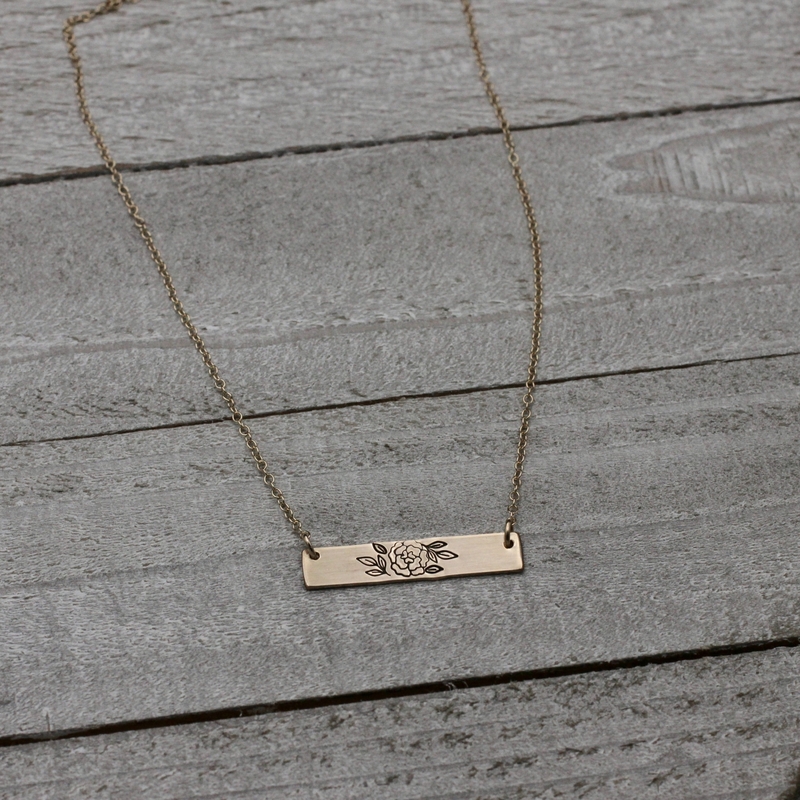 The necklace in available in 16, 18, or 20 inches.